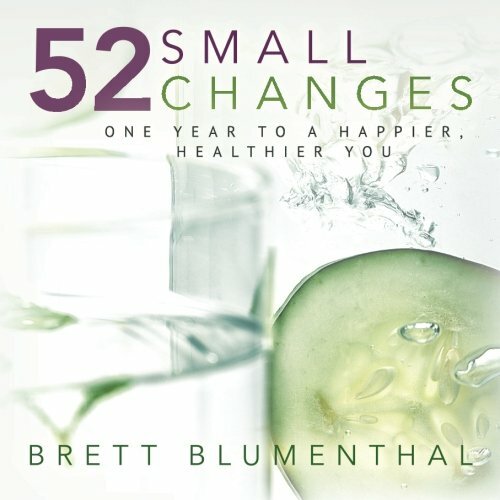 Brett Blumenthal is founder and CEO of Be Healthy, Inc., a wellness promotion company whose mission is to create a healthier America, one city at a time, by holding unique events that educate, inspire, and empower members of local communities to live and maintain healthy lifestyles. She is also founder of Sheer Balance and the Healthy Road Warrior, which provide information, classes, and seminars, along with wellness coaching to educate and motivate individuals interested in living a healthy lifestyle. She earned her bachelor’s degree and M.B.A. from Cornell University and is certified by WELCOA (Wellness Counsel of America). She writes for several online media companies, winning multiple awards for her influential blogging; has appeared on NBC and is a regular contributor on CBS and FOX; and is the author of Get Real and STOP Dieting! For anyone who has struggled to have a healthier new year and failed, this is the book for you! I fell off the wagon in my own health situation and I have high hopes for following this simple plan to get back on track. All of the ideas in this book are easy to put to use and very inexpensive. The first thing the author discusses is the importance of water. Water is pretty much a miracle for any dieter and those who really want to be in better health. The second thing that really caught my attention was the simple act of walking. Just by walking a little bit each day and increasing it weekly, you can easily get become more flexible, lower your cholesterol and lose a bit of weight. Each chapter builds on the previous and you can add each step or take your time with each step. I think for those of us truly motivated, you can get all through each of the weeks a lot faster than a year. There is even “extra credit” when you feel especially determined. I did have to laugh at the part about getting a dog to aid in making you walk. I had an Australian Shepherd, who without fail and no matter the weather, would wake me at 5am to go for a walk. I now have a dachshund that prefers to sleep in, hates cold and rain, and would like to chase things rather than walk. I guess this plan will have to make her more active as well. One thing that might be a challenge for some people is the chapter on food, where the author recommends organic and natural things only. Once you start substituting fruit and vegetables for processed food, you will gradually start to feel better. I know personally that organic products cost more and for a lot of people this in itself is something of a deal breaker, but these days there is a lot more choice and the prices are coming down on a lot of these products. 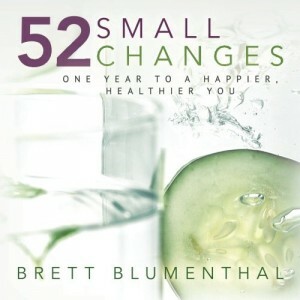 Overall, this is one of the best books about changing yourself and your health situation I have seen in a long time. WANT TO WIN A COPY OF THIS BOOK? Winner will have 48 hours to respond to email or a new winner will be chosen. This giveaway is sponsored by the publisher and THREE copies will be available. +1 for each place you social network this giveaway and leave me a link once daily! Sounds like a great book to start the new year! Thank you for the giveaway! sounds like a good read. It’s certainly a good idea to work on one small part at a time. Boy do I need this one! The winner has 48 hours to respond or a new winner will be chosen. PLEASE CHECK YOUR SPAM FOR THE EMAIL FROM BOOKHOUNDS @ HOTMAIL REQUESTING YOUR MAILING ADDRESS!